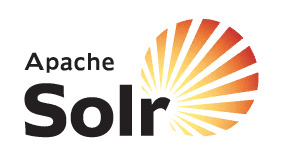 In my last post Solr Enterprise Search Meeting OFBiz (Part – 1) we saw how to setup Apache Solr on your local computer for development. In this post we are going to see how to get it to work with Apache OFBiz. For demonstration purposes, we are going to use example component from OFBiz. The steps shown here will be the same for any other business application. The setup in this tutorial is very basic and will get you on your way to using it with Apache OFBiz. So let’s see how to do it. 2. Setup the OFBiz example’s core inside the new setup as shown below, again refer to the example core from Solr to do it. installations. See the <uniqueKey> declaration below where <uniqueKey> is set to "id". <!-- Field to use to determine and enforce document uniqueness. At this stage we are done with the Solr part, now we have to make it work with OFBiz. Drop it into the hot-deploy directory. 3. Put the implementation of the service you just defined in the src directory at org.ofbiz.example.ExampleServices as mentioned below. 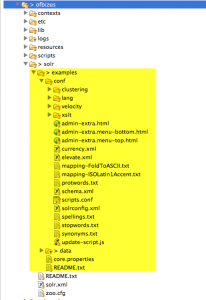 This service implementation will take care of connecting to the Solr server, and supply the field values to SOLR to create/update or delete the document for indexing. We have used the Solrj API to work with Solr, make sure to copy it from $ SOLR_HOME/dist/solr-solrj-4.7.2.jar to $OFBIZ_HOME/hot-deploy/example/lib. 3. Direct your browser to the OFBiz Example application and create some new examples, observe the activities on the Solr console log. You will see that it has started creating and indexing these documents. 4. Now, direct your browser to the Solr admin console, it should now show the examples core that you defined similar to the image below. 5. Now you can play with it for sometime and check if the new examples that you created in OFBiz are visible here at Solr side. For this you can continue adding examples in OFBiz and find them here in Solr admin console. After starting the Solr and OFBiz servers, you will create a new example, a document will be created and indexed by Solr for it. 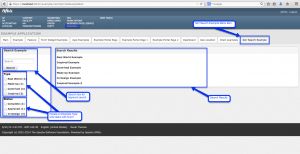 Now that Solr Search is working with OFBiz, you can follow these steps to build a UI for it and start using Solr Search. //exampleType facets for getting the count of example in each exampleType. // filtered queries on facets. 4. Implement the FindExample.ftl included in the FindExampleSolr screen’s left column at location component://example/webapp/example/example/ This will be used to show the search box and facets for Example Type and Status. Now you can play with it further and do some experiments and enhancements, or you can start implementing Solr search on Products, Customers or Orders. As you move further along to defining a new core document schema, you will need to have a thorough understanding of the search requirements from a buisness aspect. Review the OFBiz data model carefully prior to making decisions on defining the document Schema, because this is what is indexed and searched. 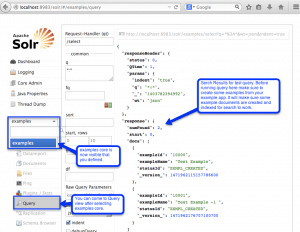 Learn more from Apache Solr Enterprise Search Platform Space.